Beginners to Intermediate Pilates Classes & Courses! 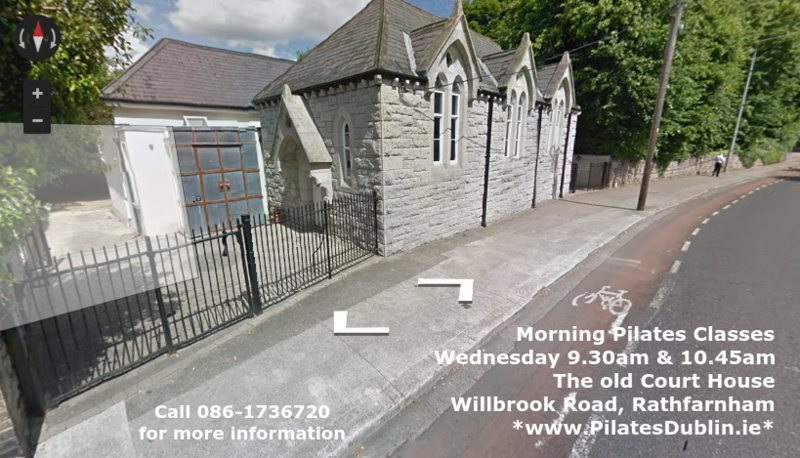 Classes take place near the Yellow House Pub in the “old Court House” in Rathfarnham. South Dublin, Dublin 14, D14, Dublin 16, D16, Rathfarnham, Whitechurch, near Nutgrove Shopping Centre, Terenure. All Abilities, Ages, Fitness Levels – Women and Men are welcome! Rathfarnham, D14, Dublin 14, close to Nutgrove Shopping Centre. 5.1 Ideally you have done some Pilates before, contact Martin if you haven’t and we can discuss the options. 5.2 I also assume you don’t have any major back, neck or other joint issues. Please call me if you have any questions in relation to that. 6. Pilates Equipment: various small Pilates and Fitness Equipment will be provided. 8.1. – 7-week Course (7 consecutive weeks) €95.00 (pro-rata if an 7-week course has already started). to pre-book your place (bottom of the page). Call, Text or E-mail – Martin (click here) for further information, bookings or with any questions you might have.